The Sfax for Windows Download can be found here. If you have the previous version of the Sfax for Windows application, you may uninstall this application, or let the installer do it for you. You need to be logged in as the Administrator of the system you are installing on. Once you have downloaded the installer, browse to your download location and run the Sfax-for-Windows.exe file. If you are not logged in as the admin of the computer, you will want to Right-Click the installer and Run as Administrator. Once this is complete, the Introduction screen will pop up. 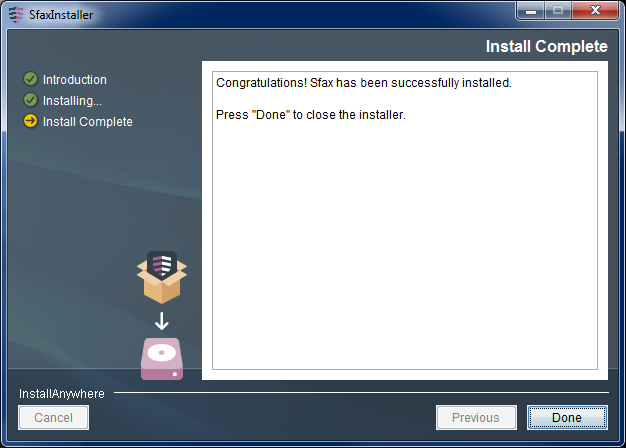 The installer will complete all of the steps needed to cleanly install the application. Once it is complete, you may select Done to complete the installation. After the application is installed you will have a Sfax Driver in your Devices and Printers folder. 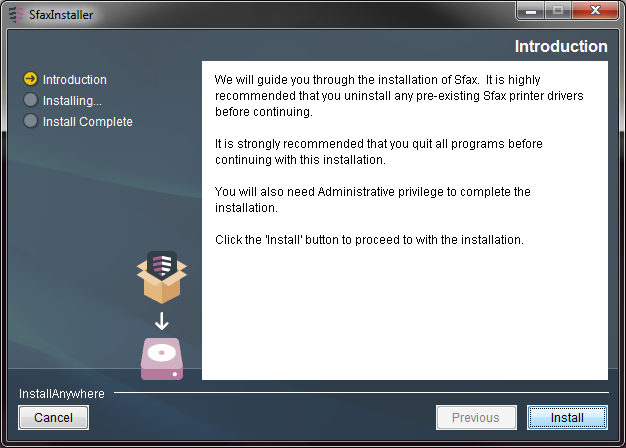 You will also have an Sfax folder in your All Programs section which has the application, as well as an uninstaller. 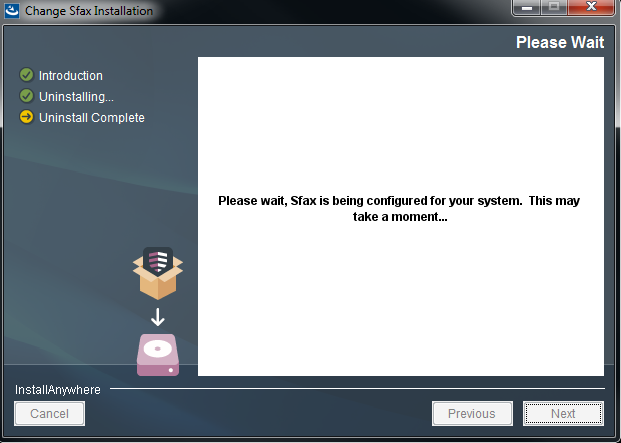 From here, you can go to the " How to Use" document to start using your Sfax for Windows driver. 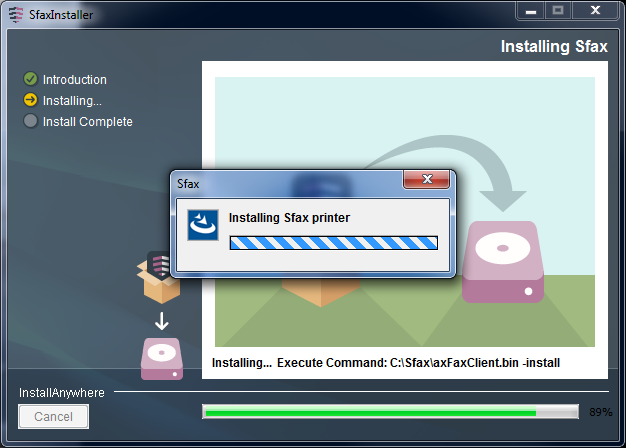 Run the Sfax (uninstall) program from your Sfax application folder, under "My Programs"
Clicking “Uninstall” will start the uninstall process Once it is complete, it will confirm the removal of the program and give you the option to automatically restart your computer or manually restart your computer. If you select the first option "Yes, restart my system" then following screen will display and the computer will reboot. 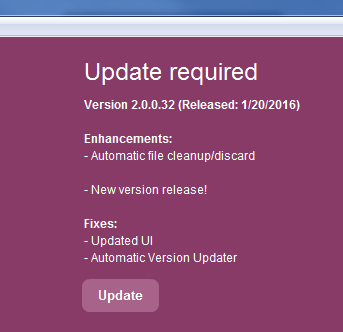 With Sfax version 2.0, we how have the ability to push Updates directly to you when they are made available. Shortly after starting the application, you may receive notification that the application needs to be updated. Clicking "Update" will go through the process of installing the latest version of the software. You may also manually check for updates by clicking the Help option at the top left corner, and "Check for Updates". If there are no updates to apply, the program will let you know. After stepping through the process for the update, you will be prompted to restart the application manually from your start menu. or for video Sfax for Windows 2.0: Sign and Send in 60 secs. My installation is telling me I need a certain version of Adobe Air! 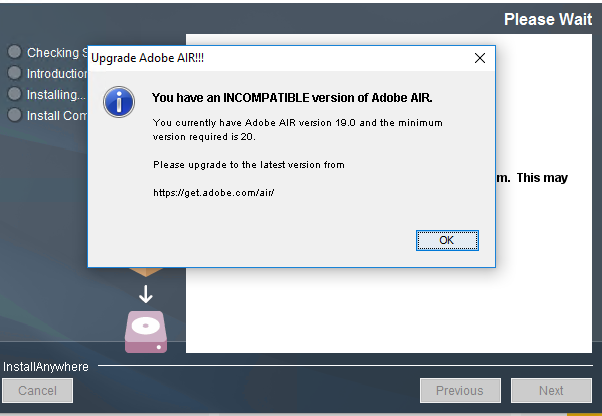 Our Print Driver Application requires at least version 20 of Adobe Air to install and run properly. You can download this from https://get.adobe.com/air/. 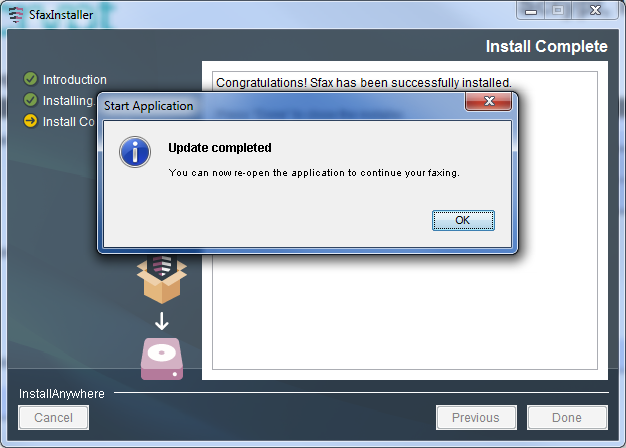 Once you have installed or updated the to the latest application, restart the installer to complete the driver install.